Our Band Is The Perfect Answer. The Support Band Wraps Securely Around The Leg. 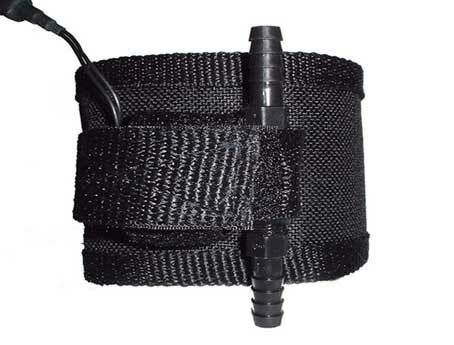 All Straps Have Velcro Closures And Will Fit Most Emptiers From Other Companies. Our Band Comes Included With The New Pinch Emptier Kit. Our Low Price Is Only CAD $50.40 !! Plus Shipping.